I like this machine. It’s German-built and you can almost tear the whole thing down with a #10 torx bit. Now, Whirlpool sells another front loader that also bears the name “Duet,” it’s the Duet Sport. The Sport is made in Mexico and, while it’s not a bad machine, it’s just not at the same level as its German big brother. 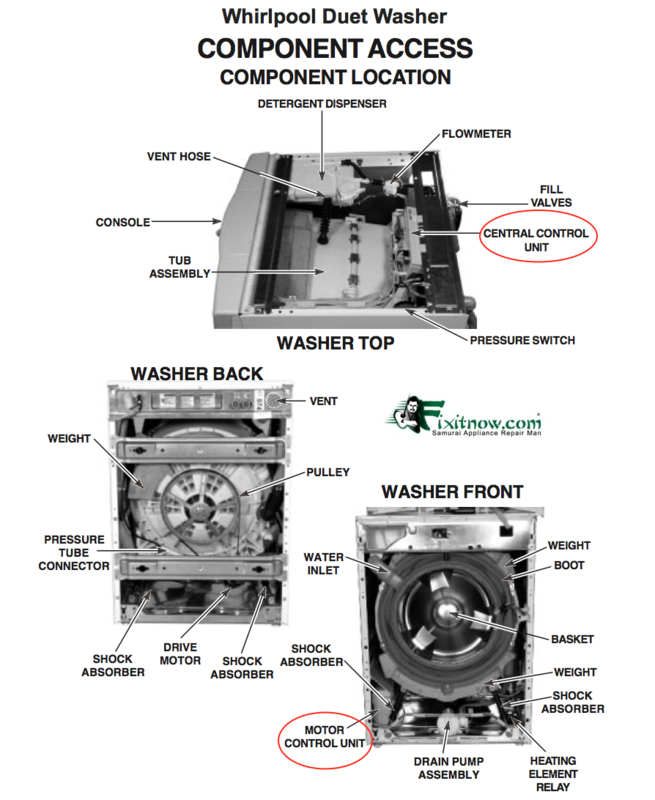 And here’s a handy list of commonly replaced parts on this machine. For each component, I’ve also included some things that may indicate that part is bad. Notice the emphasis on the word, “may.” These are meant to point you in the right direction but you should still confirm the part is bad.